Two Averys. Avery VanDemere and Avery West. Missing parents. Distinguished family histories. Treasure hunts. Races around the world. 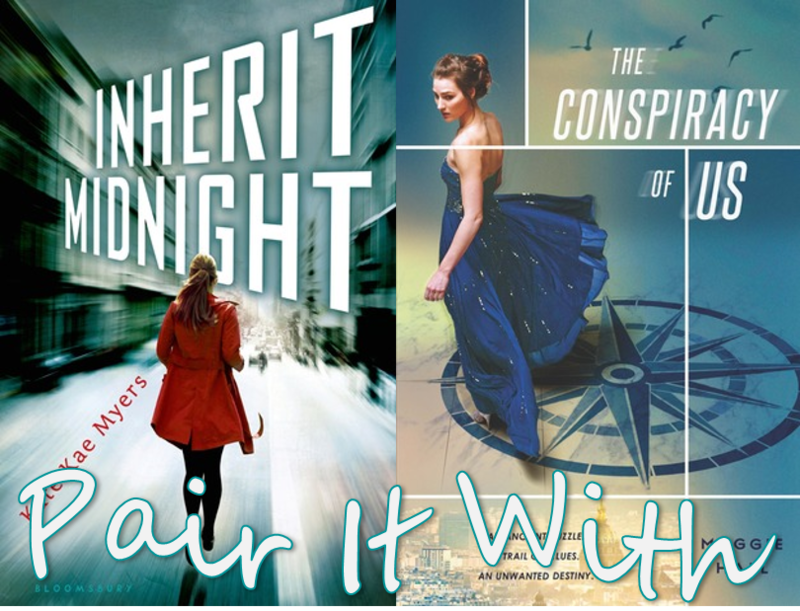 Inherit Midnight and The Conspiracy of Us take their readers on a high-stakes, fast-paced jaunt to places as far flung as Venezuela, Scotland, and Istanbul. Avery VanDemere has never felt like she fit into the VanDemere clan. The child of a scandal, she never knew her mother and grew up in her grandmother's mansion. Once she turns eighteen she plans to leave the VanDemere world, with all its propriety and privilege, behind. Then Avery and all her VanDemere relatives learn that their Justine VanDemere is dying, and she has engineered a competition to determine who will be her heir. 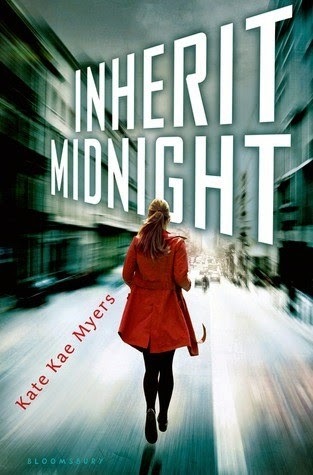 Kate Kae Myers' Inherit Midnight is a lot of fun. It's kind of a cross between The Amazing Race and Who Do You Think You Are. I got a kick out of the extreme, high-stakes genealogy. Justine VanDemere is obsessed with family history. The VanDemeres are whisked around the world as the competition progresses. Each test takes place at a different location and each has to do with one of the VanDemere ancestors. As Avery learns about her ancestors, she has some moments of self-discovery as well. As would be expected in a competition like this and in a family such as the VanDemeres, there is back-stabbing, cheating, lying, out-and-out villainy, but there are also moments of bonding between Avery and some of her family members. I wasn't super swoony over Riley Tate, but I was glad that he was there to help Avery along, and I think he was a good friend to her. Inherit Midnight is out February 10th, 2015. Avery West has one rule, "Don't care too much." It's a rule of necessity that allows her to deal with the constant moving for her mother's job. But it's a hard rule to follow, and she's starting to feel a little too comfortable in her new home. She has a some friends and the new kid, Jack, asked her to the prom. At this point Avery's mother announces they are moving. Again. Avery's just about had it, so when Jack and another mystery boy, Stellan, tell her that he father's family wants to meet her, she takes off with them. To Paris. Avery's lost family has private jets and balls and apartments in the Louvre. Yes, that Louvre. Her family is really a part of a secret organization called The Circle that rules the world. Then someone tries to kill Avery. This family isn't at all what Avery was expecting. Soon she and Jack are searching for clues to unravel an old family mystery linked to the attack on Avery. The Conspiracy of Us promised to be a mad dash around the globe. It's kind of got a The DaVinci Code vibe, with old artifacts revealing clues to the future. I enjoyed the mystery and the jaunts between Paris and Istanbul. The pacing of the book is a bit uneven. I wished that the book was just a bit more heart-pounding, the action a little faster, and the danger just that much more intense. The intensity does ramp up as the book nears its conclusion. I did quite enjoyed the links to ancient history and the Napoleonic Era. Maggie Hall's debut has promise. I'll be interested to see where she takes the sequels. 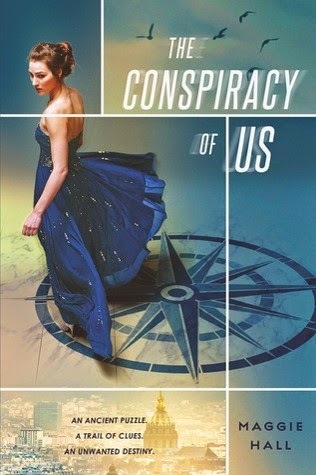 The Conspiracy of Us was out January 13th, 2015.